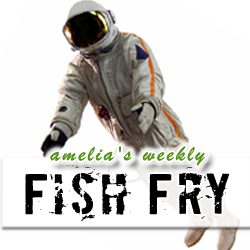 In this week’s Fish Fry we look into Excalibur Almaz’s plans to launch people into space. We investigate how they plan to get their space tourism business off the ground, what kind of space technology they are going to employ, and what their motivations may be for launching this high-flying company. In the second half of the broadcast, I ask Shakeel Jeeawoody (Blue Pearl Software) what Blue Pearl is all about, how they are working with Synopsys within the Symplify Pro platform, and what was happening at their recent Design Automation Conference panel. I also have another XMEGA-A3BU Xplained kit (courtesy of Atmel) to give away but you’ll have to tune in to find out how to win.